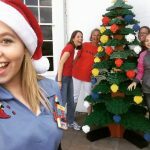 Over at Legoland Florida there are some new experiences during the holidays and Christmas Bricktacular to help make your holiday season a memorable one. 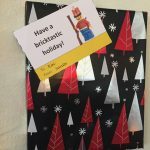 In addition to Christmas Bricktacular beginning on December 17, this weekend they began offering the LEGO® Santa’s Breakfast and LEGO® Santa’s Christmas Workshop. 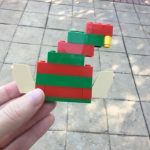 I recently had the opportunity to attend these events and they were so much fun, especially if you have Lego fans in your family (which I do). 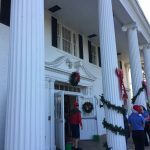 Breakfast is held every Saturday and Sunday through December 18 and then daily December 24-December 31 from 9:00-10:00 AM. 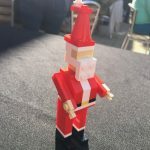 Lego Santa hosts you and your family at the historical Magnolia Mansion. When you arrive, you get a picture taken with him that you’ll get to take home and are shown to an all-you-care-to-enjoy buffet. 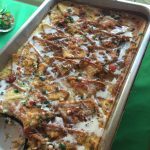 Breakfast included bacon and sausage, eggs, french toast, waffles, biscuits and gravy, and a seasonal bread pudding. All of the food and drinks are set up in the mansion. There were Lego displays all around to check out as you filled your plate. 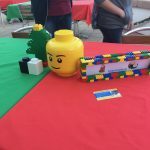 Legos are present your table (make sure to look inside the giant mini fig head). During our time, we were visited by Mrs. Claus, Lego Toy Soldier, and Lego Buddy the Elf. We had a very deep conversation with Mrs. Claus about our favorite cookies. 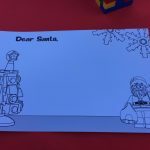 Kids are given some paper to write a letter to Santa and each family receives a Lego ornament. There are also several games set up on the lawn. This event is a great way to start your day in Legoland. It costs $35 per person plus tax. Annual passholders can receive a discount. The workshop takes place in the afternoons from 1:00-2:30 on the same days as the breakfast. 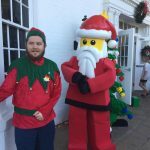 When you arrive to Magnolia Mansion, you’ll be given an elf hat Lego pin and be given the opportunity to take a fun picture with Lego Santa and Lego Toy Soldier. Next, cookies and milk are available inside. Out on the tables, each person had a bottle of water and a bag of Legos to use during the workshop. Then it was time for a master model builder to give us instruction on building the mystery figure in our bags. During the lesson we learned proper terminology for the different pieces. Our master model builder, Luke, and the other model citizens were great at answering questions. Afterwards, we were free to take pictures around the mansion and they gave us a cool lego case to carry home our figures. 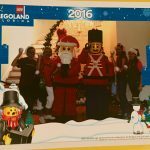 We also got the picture that we took earlier with Lego Santa and Toy Soldier. My family and I really enjoyed our workshop time. 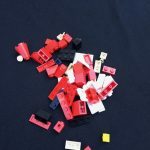 Since the figure itself was on the easy side, even guests who have never built Lego models would be able to follow and successfully complete it. The workshop costs $35 per person plus tax. 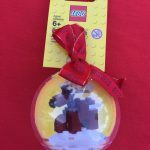 Both of these premium upgrades are a lot of fun if you’re looking for something special to add to your day at Legoland Florida during the holidays or when you attend Christmas Bricktacular. The Model Citizens were all wonderful to hang out with at both events. Plus you get some pretty fun souvenirs to take home. Check out Legoland Florida’s website for more information on these special events. Shamrock-clad stilt walkers lean down to joke around with Downtown Disney guests Laura DuBose (left) and Corinne Molineaux (right), of Orlando, Fla., during the multi-day St. PatrickÕs celebration at Raglan Road in Lake Buena Vista, Fla. 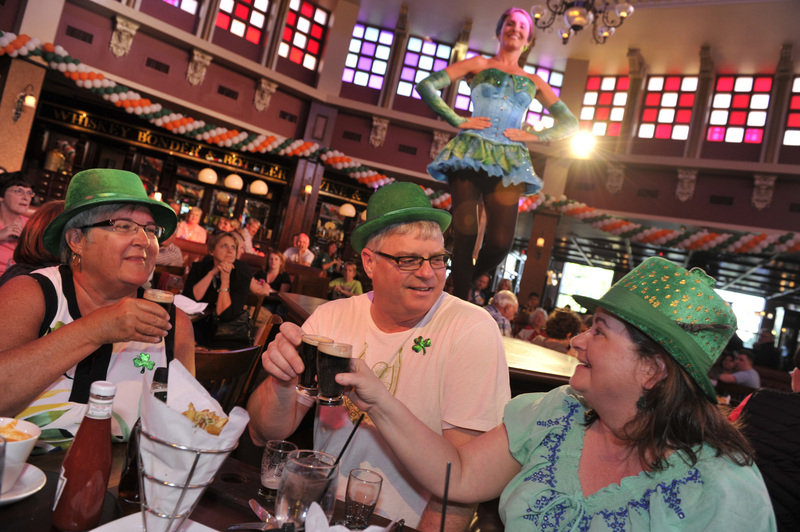 The “Mighty Festival,” continuing through March 17, features Irish bands and pro dancers, beers on tap, specially crafted food, face painting, stilt walkers and plenty of St. Patrick’s Day memorabilia throughout Downtown Disney Pleasure Island. 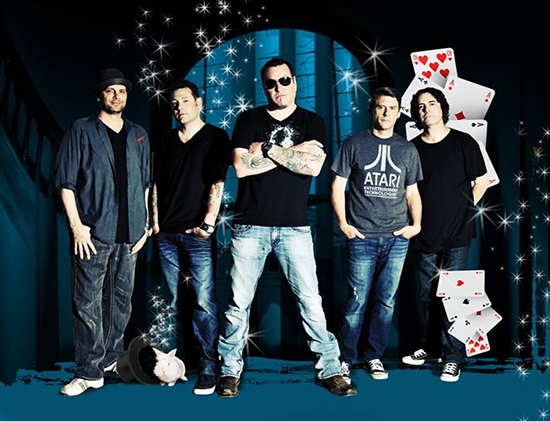 Music and merriment abound when the most authentic St. Patrick’s Day celebration in Central Florida comes to Downtown Disney March 7-17. 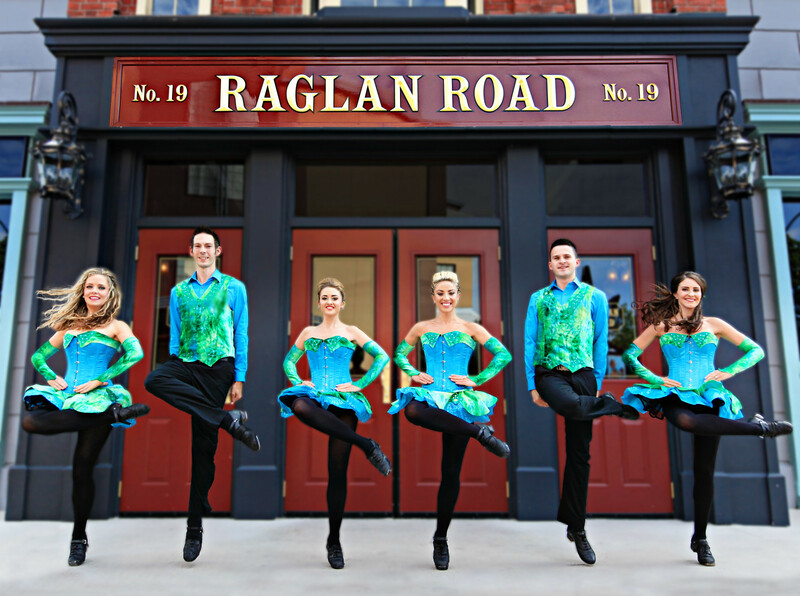 The celebration at Raglan Road Irish Pub & Restaurant and throughout Downtown Disney pays homage to Celtic culture with nearly 10 top Irish bands and pro dancers performing on three stages during select days of the festival. With performances starting nightly March 7-14 from 5 p.m. to 1 a.m. and daily 12 p.m. to 1 a.m. March 15-17 on stages indoors and out, guests can don their finest green duds and join in a jig or two. 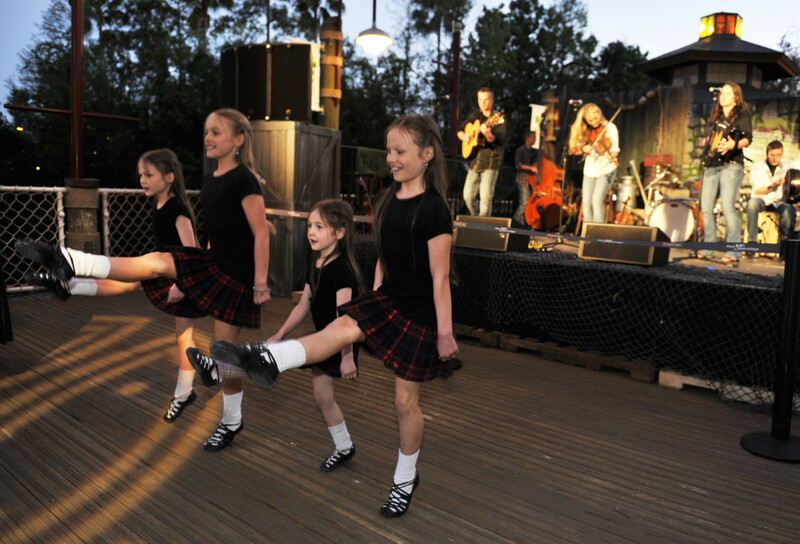 The Willis Clan, a family of musicians and dancers from Nashville, Tenn. whoÕve won awards for their Irish music and step dance performances, performs during the multi-day St. PatrickÕs celebration at Raglan Road in Lake Buena Vista, Fla. 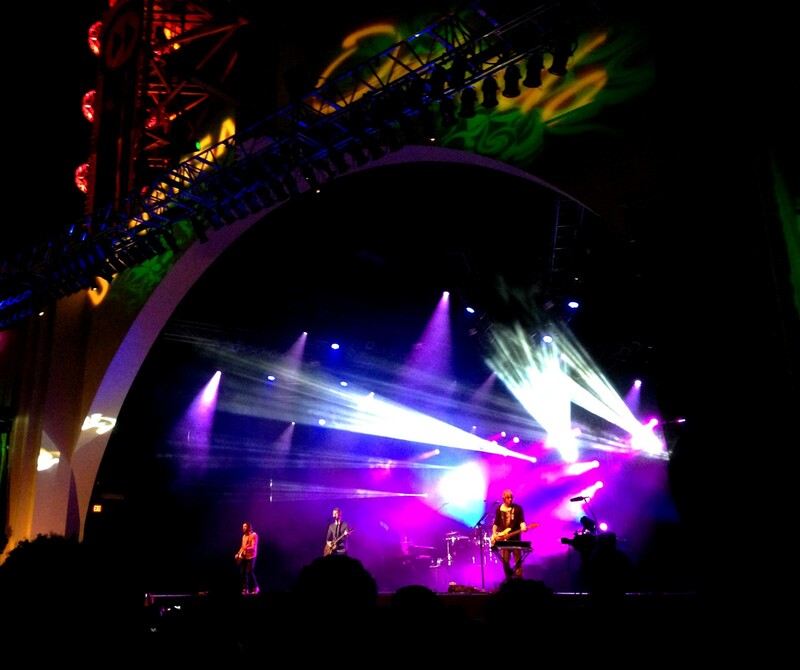 The ÔMighty FestivalÕ continues through March 17 and features multiple Irish bands on several stages, pro dancers, beers on tap, specially crafted food, face painting, stilt walkers and plenty of St. Patrick’s Day memorabilia throughout Downtown Disney Pleasure Island. Additional entertainment inspired by the Emerald Isle will include more than 50 musicians and dancers, face painting, stilt walkers, living statues and giveaways. Guests will find it’s easy being green at The Mighty Family Zone on the West Side, a new offering during the Mighty St. Patrick’s Festival. 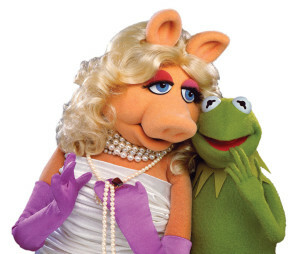 Guests can snag a photo with Kermit, learn how to draw everyone’s favorite frog, take part in games and DJ dance parties, and more. Also new this year: the four Disney Food Trucks (Fantasy Fair, Namaste Café, Superstar Catering and World Showcase of Flavors) will serve delicious eats each evening of the festival at Downtown Disney West Side, including a special St. Patrick’s Day-themed cupcake. Guests can also purchase Fisherman’s Pie, a favorite dish from the Ireland kiosk at the Epcot International Food & Wine Festival, at the World Showcase of Flavors Food Truck. Guests can order from the popular Raglan Road lunch, dinner and bar menus throughout the event. 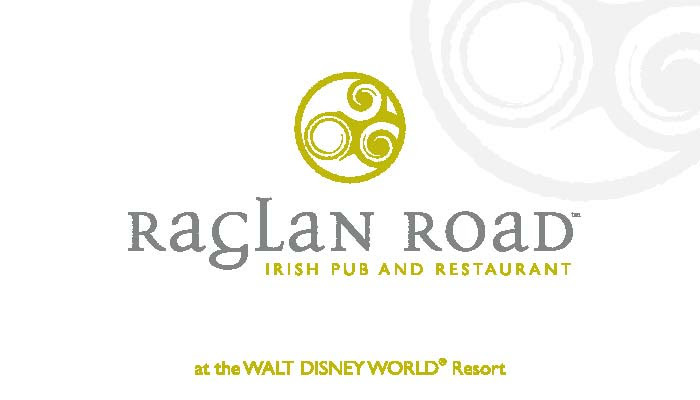 Irish celebrity chef Kevin Dundon of Raglan Road will bring traditional Irish flavors to Downtown Disney with dishes such as loin of bacon and cabbage, and guests will find a hearty selection of beers on tap. 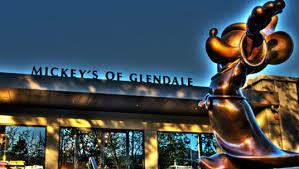 The restaurant’s Cooke’s of Dublin counter-service eatery will offer Irish favorites like fish and chips, battered sausages and deep-fried candy bars, and guests will discover additional food and specialty drinks created just for the festival at select Downtown Disney restaurants. Downtown Disney guests (L-R) Brenda Sievert, from Nova Scotia, Canada, and Dean and Lisa Nicholson, from New Brunswick, Canada, make a spirited toast during the multi-day St. PatrickÕs celebration at Raglan Road in Lake Buena Vista, Fla. 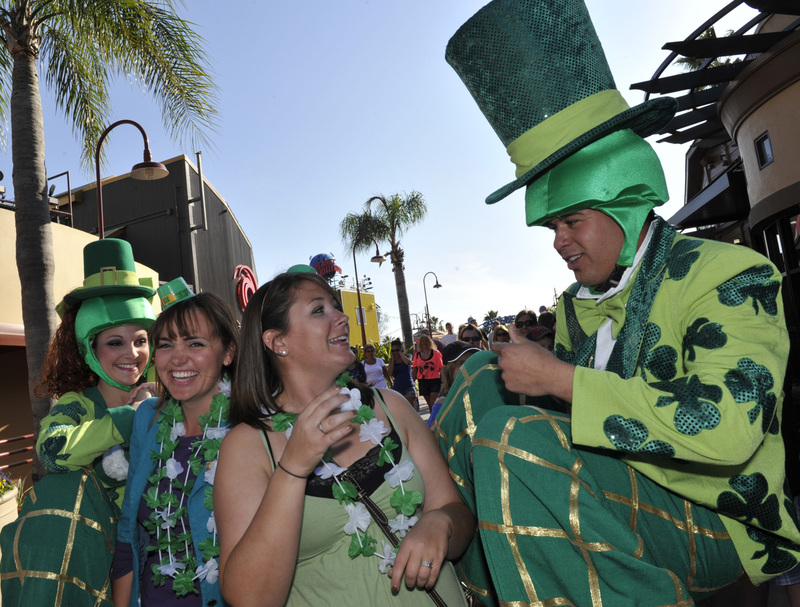 The “Mighty Festival,” continuing through March 17, features Irish bands and pro dancers, beers on tap, specially crafted food, face painting, stilt walkers and plenty of St. Patrick’s Day memorabilia throughout Downtown Disney Pleasure Island. On Monday, St. Patrick’s Day, guests will be seated at Raglan Road on a first-come, first-served basis with a cover charge of $10 for each guest age 18 and older. 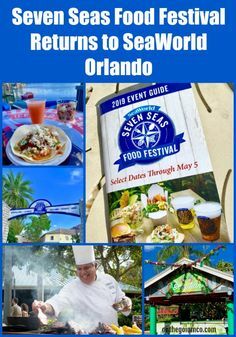 Reservations can be booked for other festival days by calling 407/938-0300. For more information visit Disneyworld.com/StPatricksDay. 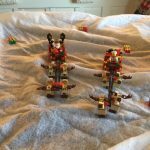 With a record-breaking box office debut, an action-packed video game and a contagious song, everything is awesome with The LEGO Movie, and kids and parents alike just can’t get enough. 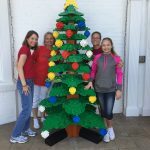 So, it’s no surprise that these fans are looking to LEGOLAND Florida for more movie-themed fun in a fantastic LEGO inspired theme park setting. 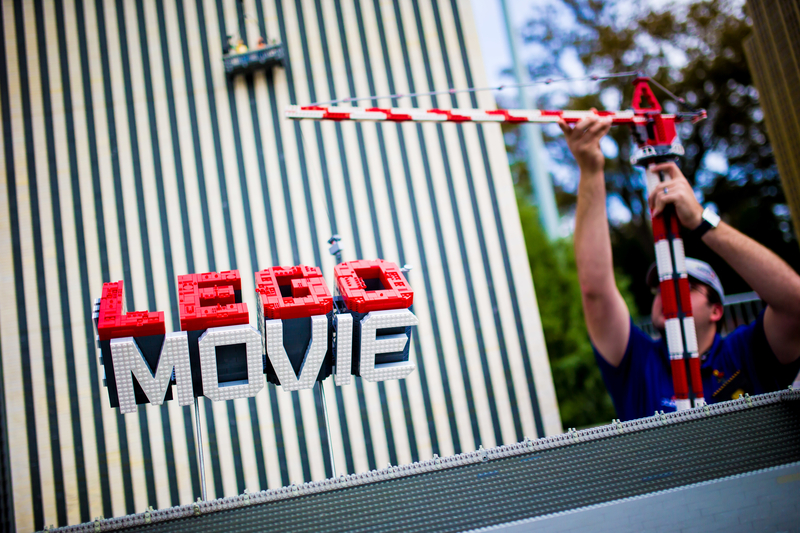 Back by popular demand, The LEGO Movie Weekend festivities will return to LEGOLAND Florida every weekend in March starting Mar. 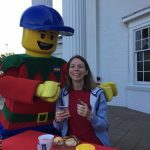 8, bringing back scavenger hunts, photo opportunities as well as new family fun with a chance to help transform Miniland USA’s New York City into the famous Bricksburg. The construction crane hoisting “The LEGO Movie” Logo over the city. Fans can walk the red carpet and meet the stars of “The LEGO Movie,” Emmet and Wyldstyle. Emmet, Wyldstyle and Lord Business are lost in Miniland USA. Guests can help find them to save the day! Guests can submit an entry to win a LEGO Prize Pack at www.legoland.com. See website for official rules. Currently in theaters nationwide, The LEGO® Movie is the first-ever, full-length theatrical LEGO® adventure from Warner Bros. Pictures, Village Roadshow Pictures and LEGO System A/S. Directed by Phil Lord & Christopher Miller, it stars Chris Pratt, Will Ferrell, Elizabeth Banks, Will Arnett, Nick Offerman,Alison Brie and Charlie Day, with Liam Neeson and Morgan Freeman. The LEGO Movie Weekend is included with park admission and guests will have complete access to a full day of theme park fun with more than 50 rides, shows and attractions all geared to families with children ages 2 to 12. The best way to experience LEGOLAND Florida is with the LEGOLAND Florida Resident Annual Pass as low as $99 each. Pass members receive unlimited admission for 12 months to LEGOLAND Florida and the LEGOLAND Water Park, as well as all other Merlin US attractions (LEGOLAND California & Water Park, LEGOLAND Discovery Centers, Sea Life Centers and Madam Tussauds), free parking and 10% off food and merchandise with no black-out dates. For the most current information on special events, daily operating hours and to purchase tickets, visit www.LEGOLAND.com. 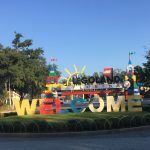 LEGOLAND® Florida is a 150-acre interactive theme park with more than 50 rides, shows and attractions, a Water Park and The LEGO® World of Chima presented by Cartoon Network all geared to families with children ages 2 to 12. Recently announced, The LEGOLAND Hotel will open in 2015 featuring 152 highly themed rooms and suites, LEGO décor, interactive play areas, a pool and a restaurant. 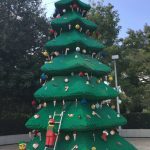 There are currently five other LEGOLAND Parks in the world – LEGOLAND California in Carlsbad, LEGOLAND Billund in Denmark, LEGOLAND Deutschland near Günzburg, Germany and LEGOLAND Windsor outside of London and just opened LEGOLAND Malaysia —the sixth LEGOLAND Park and first in Asia. 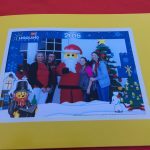 The LEGOLAND theme parks are a part of Merlin Entertainments Group, the second largest attractions operator in the world. For the most current information, log on to www.LEGOLAND.com. Off the back of his hugely successful PBS show Modern Irish Food based on his latest cook book of the same name, celebrity chef Kevin Dundon shares his inspiration for his first American public television series with a lunch-demonstration in the beautiful & unique surroundings of Raglan Road Irish Pub. As part of Raglan Road’s annual Mighty St Patrick’s Festival celebrations, celebrity chef Kevin Dundon is hosting a very special Signature Dining Event. Those of you who have attended any of Kevin’s previous signature dinners will know he never fails to surprise and delight and this event will be no different with an amazing 5 course dinner with wine pairings. The event is not just part of the Mighty St Patrick’s celebrations but also the unveiling of the Raglan Road Cookbook, a beautiful hardcover book that show cases some very special recipes and is filled with great stories about the history and the people who work and visit Orlando’s favorite Irish pub. To secure a seat in either event, please call Raglan Road Irish Pub & Restaurant at 407-938-0300. Tables in Wonderland discount applies. 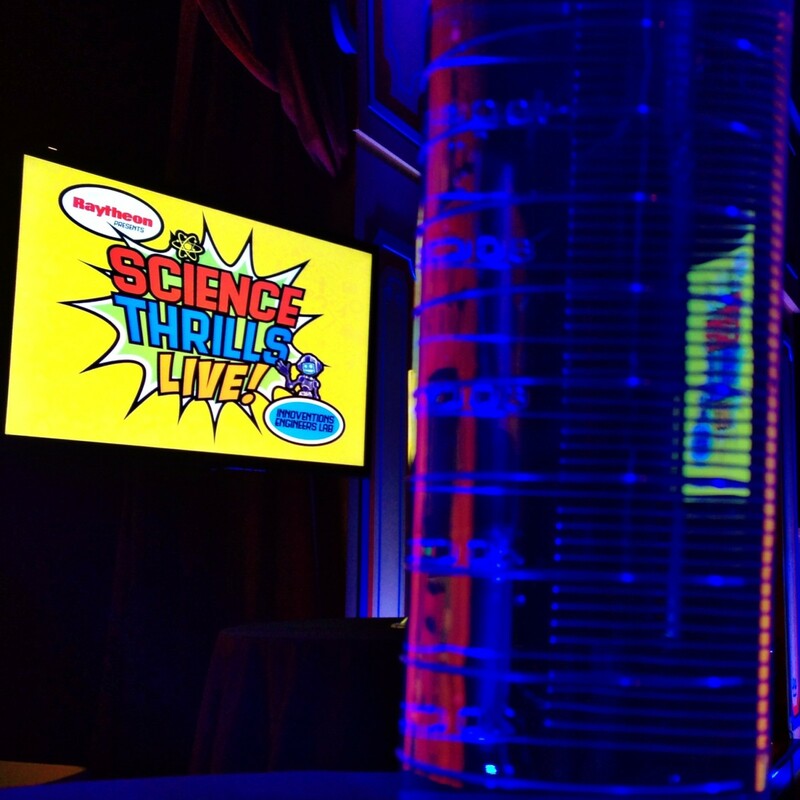 Every year Raytheon, sponsor of Sum of All Thrills in Innoventions East, helps guests National Engineers Week in Epcot, but this year they have really taken it to the next level! 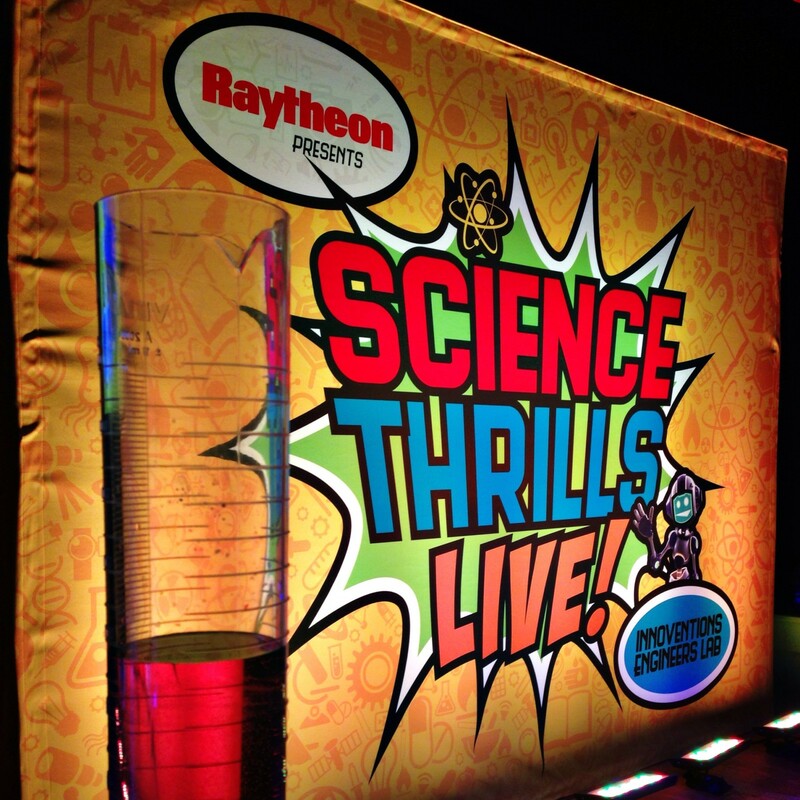 For the week of February 17-21, 2014, Raytheon is presenting ‘Science Thrills Live’ show in Innoventions West. 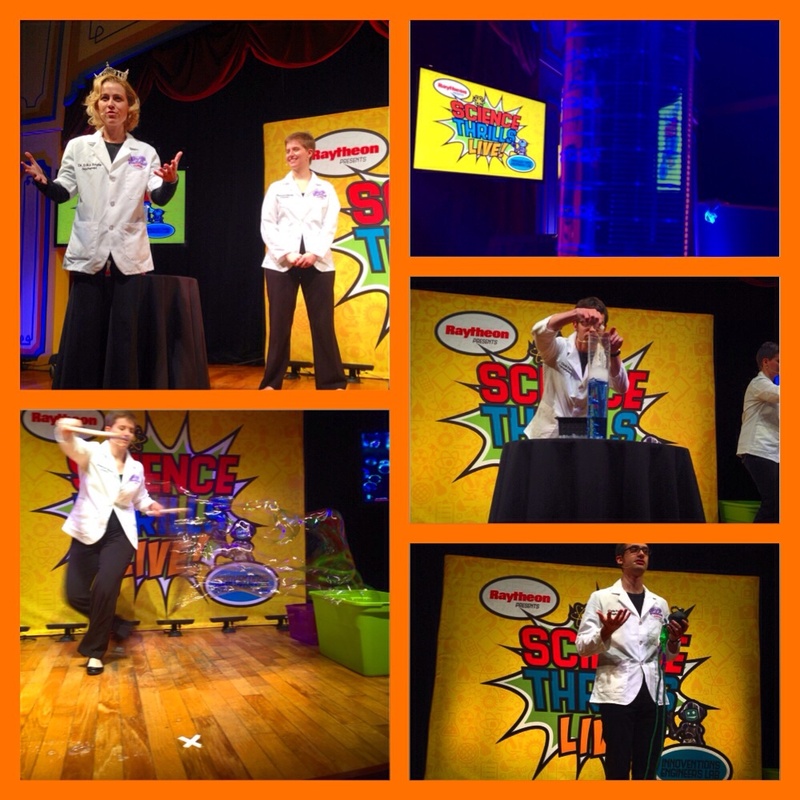 In ‘Science Thrills Live’, which is part of Raytheon’s Math Moves You program, Dr. Erika Ebbel Angle leads a group of three scientists who demonstrate various scientific concepts with experiments that involve and engage even the youngest members of the audience! 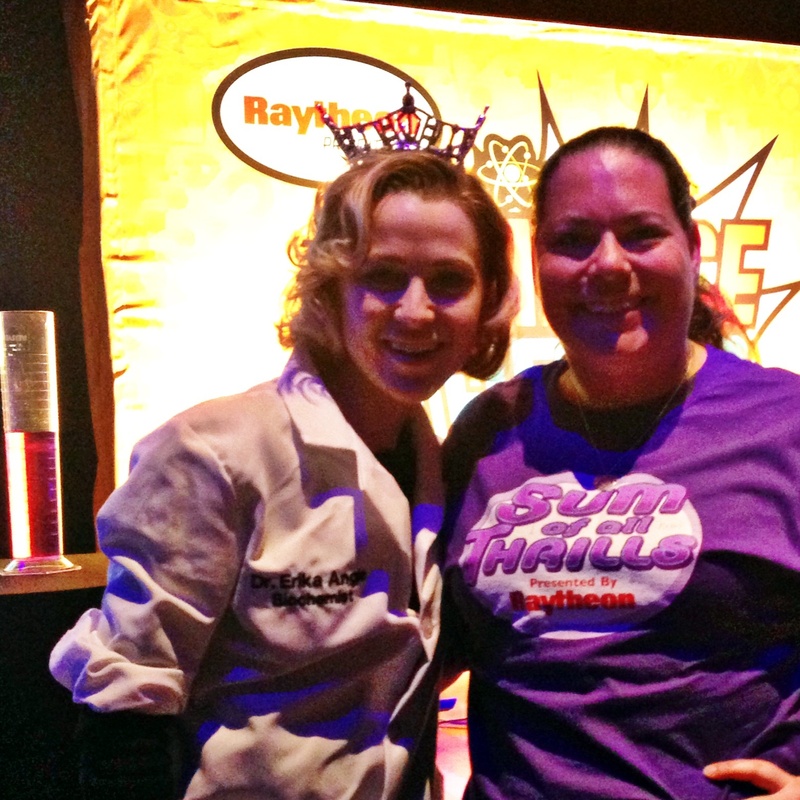 I had the chance to speak with Dr. Erika Ebbel Angle before the show, and this former Miss Massachusetts is also a Biochemist who founded Science for Scientists with a passion for education and firing kids up about STEM (Science Technology Engineering and Math) to show them the real world applications of science. The energy of the show was really fun, and as an extra bonus they used a lot of music from Meet the Robinsons during the show. 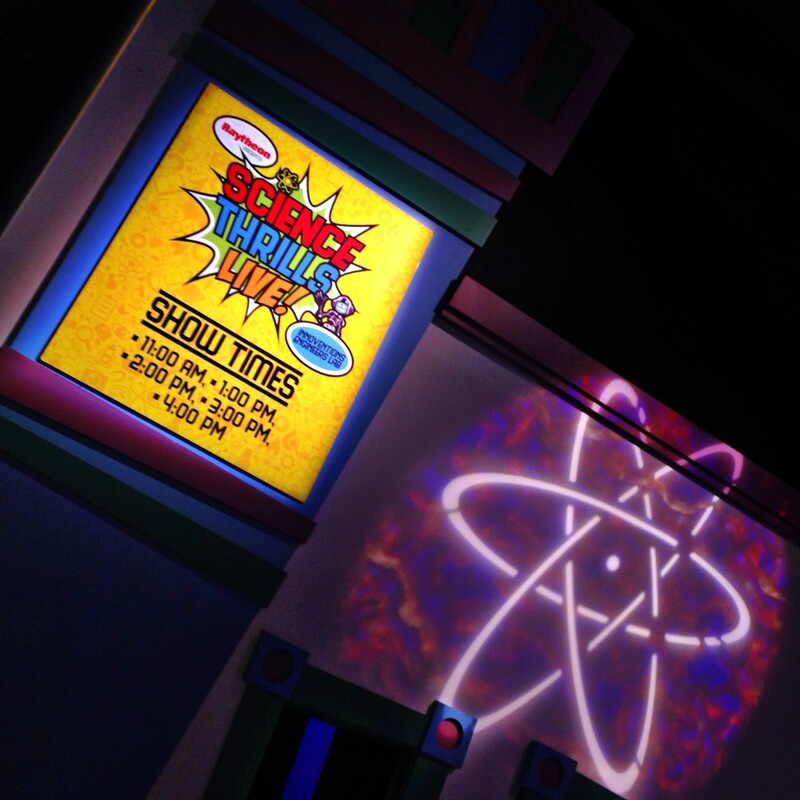 “Science Thrills Live” show is 20 minutes long, and will occur daily all week with shows at 11 a.m., 1, 2, 3, and 4 p.m. in Innoventions West near the Great Piggy Bank Adventure. I suggest showing up 30 minutes early, because it is not a huge space. While you are waiting there are experiments to do and a really great pre-show that gives you a taste of what you can expect once the show begins! 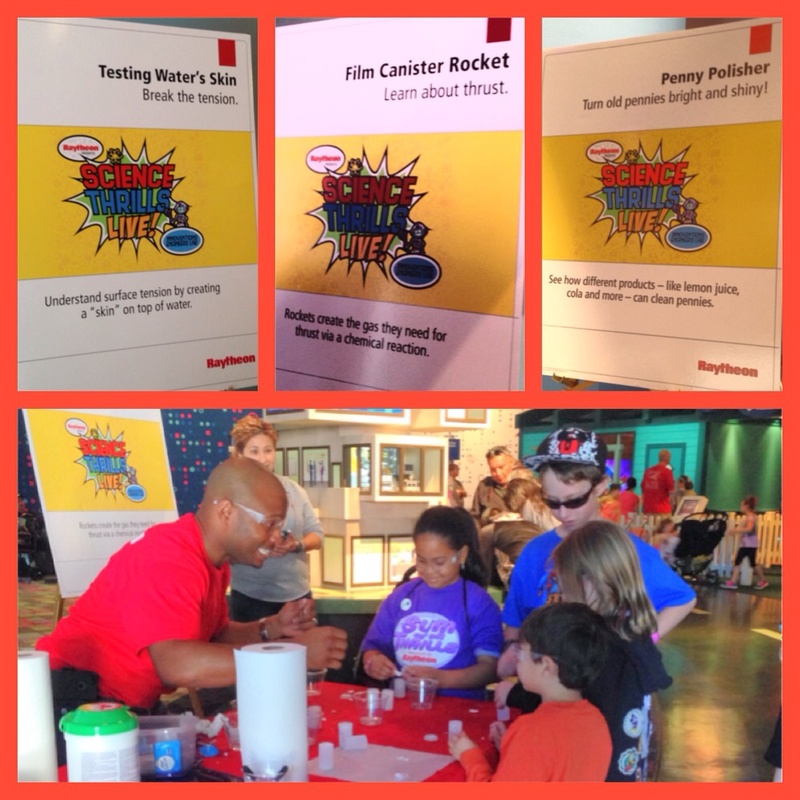 In addition to ‘Science Thrills Live’, Raytheon employees will be on hand to lead Guests in hands-on experiments, again located in Innoventions West, to share kid-friendly activities while they share their passion for education and engineering. We look forward to celebrating National Engineers Week every year with Raytheon, but this year is especially memorable so be sure to drop by Innoventions West this week! 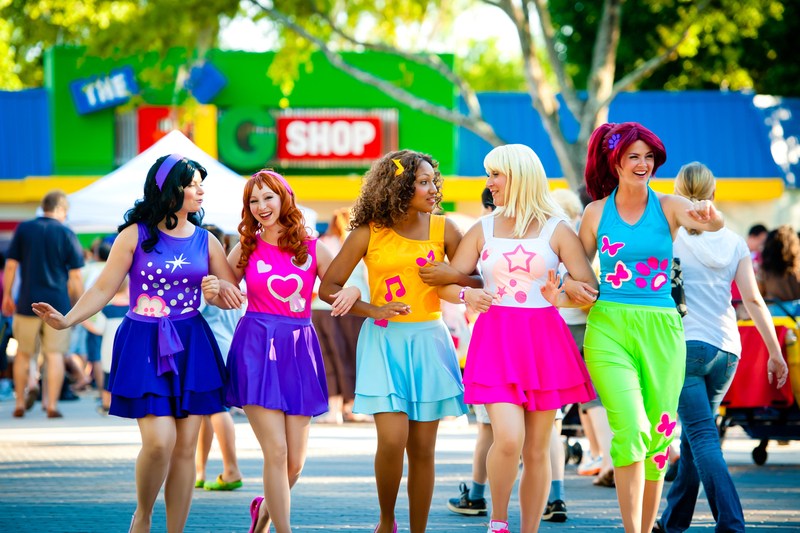 It’s all glitz and glamour as the beloved LEGOFriends – Olivia, Andrea, Stephanie, Emma and Mia – return to LEGOLAND Florida to host a weekend of fabulous fun Feb. 15-16. 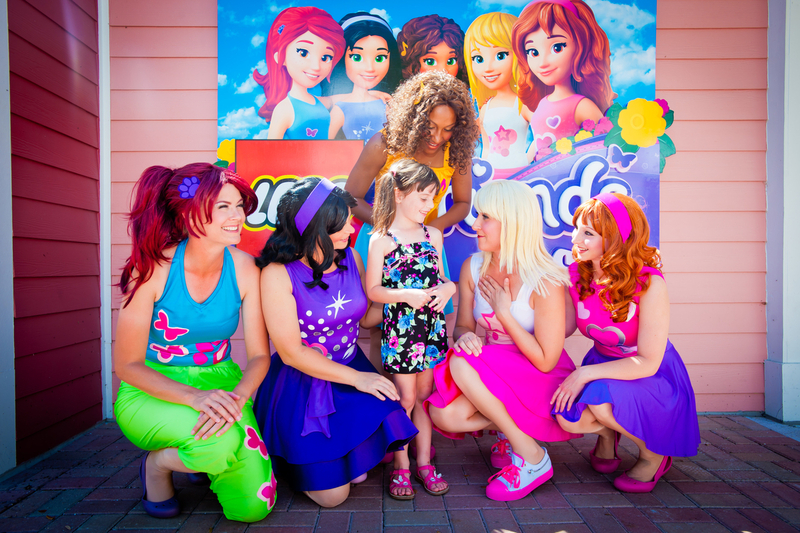 The third annual LEGO Friends Weekend is a daytime party geared to girls ages 2 to 12. This razzle-dazzle event puts girls in the spotlight and lets them celebrate their individuality with a chance to walk the pink carpet, build LEGO creations with Olivia and sing like a rock star with Andrea. Strut down the pink carpet and show off your unique style and fashion for LEGO Friends Emma, Stephanie and Andrea. They are so excited to meet you. Smile for the paparazzi as they capture a photo of you and your friends. Olivia and LEGOLAND Model Builder are building a giant cupcake and need your help. Stop by to see how much fun building with friends can be! Andrea is looking for super star singers! Showcase your singing voice during this 30 minute karaoke sessions. Sign up at the park, spots are limited. Mia has rescued so many animals she has lost count. 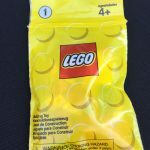 Pick up a tracking sheet at the LEGO Friends shop to list all the animals you find or visit http://florida.legoland.com/FriendsScavengerHunt to enter online. Build alone or with your best friend. Build a model that represents your friendship. A winning model from each event day will be selected to win a LEGOLAND prize pack. See official rules and prizes at park registration desk. Test your video game skills and play the new LEGO Friends video game. Stephanie’s Surprise Party – 10:45am and 12:45pm – When Emma, Olivia, Andrea and Mia plan a surprise party for Stephanie’s birthday, they soon discover it’s not easy keeping a secret from Stephanie. Dolphin Cruise – 11:45am and 1:45pm – The LEGO Friends have a science project to find a way to help dolphins in trouble. It’s time to party like a star! At 5:00pm, all of the LEGO Friends will join the party to teach you dance moves from their music videos. The party might be ending, but the friendship will last forever. Come say goodnight to all your LEGO Friends. 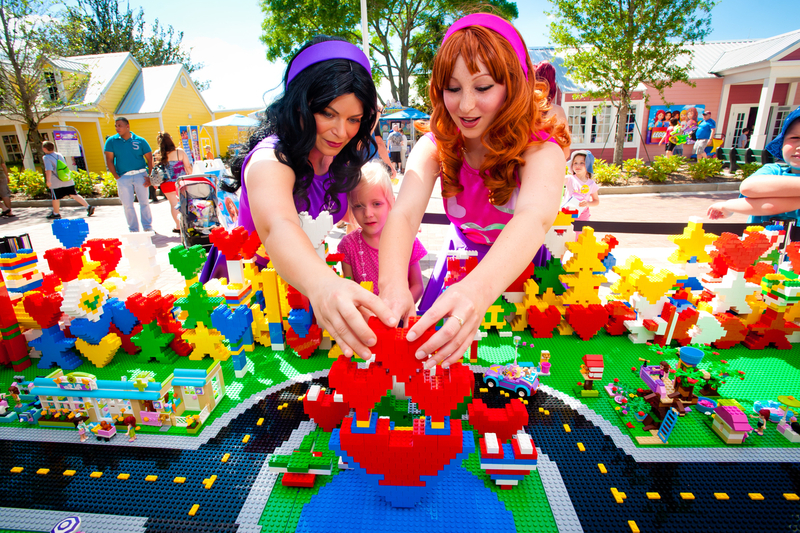 LEGO Friends Weekend is included with park admission and guests will have complete access to a full day of theme park fun with more than 50 rides, shows and attractions. The best way to experience LEGOLAND Florida is with the LEGOLAND Florida Resident Annual Pass as low as $99 each. Pass members receive unlimited admission for 12 months to LEGOLAND Florida and the LEGOLAND Water Park, as well as all other Merlin US attractions (LEGOLAND California & Water Park, LEGOLAND Discovery Centers, Sea Life Centers and Madam Tussauds), free parking and 10% off food and merchandise with no black-out dates. For the most current information on special events, daily operating hours and to purchase tickets, visit www.LEGOLAND.com. 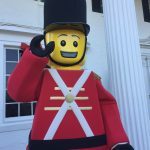 Make sure that you follow LEGOLAND Florida on Facebook and Twitter for more information and fun! 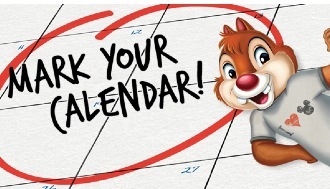 This year, D23: The Official Disney Fan Club has an amazing line up of member events that criss cross the country, and there are SO many that I am really excited about! I am a charter member of D23 and have had the opportunity to attend many events, but this year looks like it is stacking up to be an exceptional year! 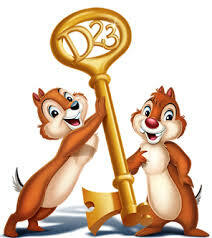 If you aren’t a D23 Member, What are you waiting for? There are tons of membership options at different price points (even free)! So let’s take a closer look at these exciting events! DESTINATION D: ATTRACTION REWIND presented by H20 Plus: Walt Disney once said, “Disneyland will never be completed. It will continue to grow as long as there is imagination left in the world.” It’s in that spirit that guests this summer will have the opportunity to visit—or revisit—some of the most beloved Disney attractions of yesteryear.Destination D: Attraction Rewind, held July 26 and 27 at Walt Disney World Resort, will bring Disney archivists, Imagineers, Legends and luminaries together to celebrate fan favorites such as Adventure Thru Inner Space, If You Had Wings, and20,000 Leagues Under the Sea with rarely seen concept art and images; vintage video clips; and revealing stories. In addition, several presentations will be dedicated to the 1964–65 New York World’s Fair, which spawned beloved attractions like it’s a small world and Carousel of Progress. 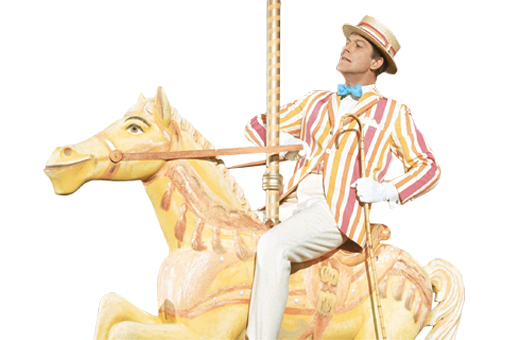 MARY POPPINS 50th ANNIVERSARY SCREENING: On August 24, 2014—nearly 50 years to the day on which this beloved classic premiered—D23 will celebrate with a very special screening event. D23’S DISNEY FANNIVERSARY CELEBRATION: For the third year in a row, D23 will hit the road, visiting cities across the U.S. to commemorate dozens of magical Disney milestones celebrating landmark anniversaries this year. 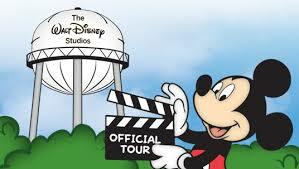 Hosted by Disney archivists and the D23 Team, D23’s Disney Fanniversary Celebration events will be held in Boston, Chicago, Los Angeles, Orlando, New York City, Seattle, and other cities in fall 2014. Fanniversary 2014 will revisit some of the most beloved theme park attractions, animated and live-action films, characters, TV series, and more than 90 years of Disney history including Donald Duck, the 1964–65 New York World’s Fair, Sleeping Beauty, Haunted Mansion, Disney’s Hollywood Studios, The Little Mermaid, and many more. Fanniversary events will be open to the public, with special admission prices and surprises created for D23 Members in attendance. 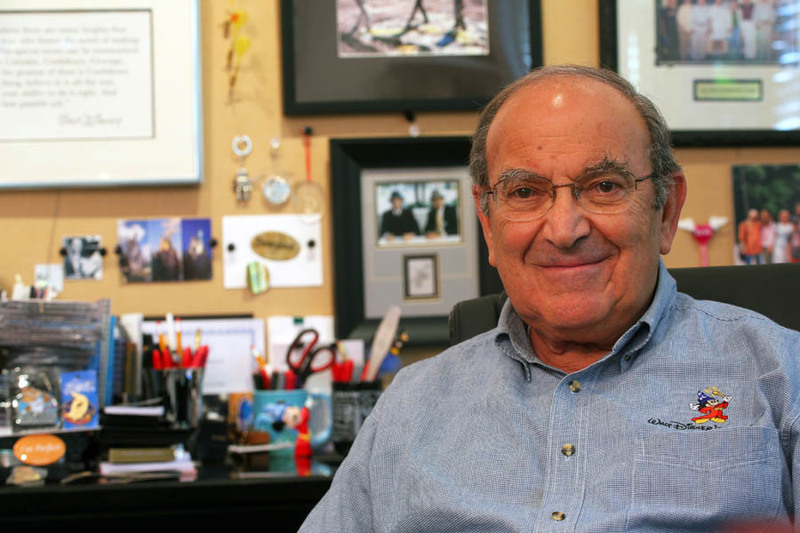 D23’S LUNCH WITH A LEGEND: A limited number of D23 Members will join Disney Legend Marty Sklar for a private luncheon on The Walt Disney Studios lot, where Marty will talk about his extraordinary 54-year career with Disney. Look for additional “Legendary” lunches later this year. 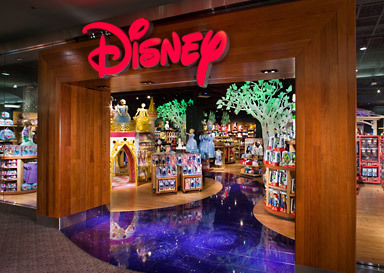 DISNEY STORE MEMBER MIXERS: After giving members a peek at the reimagined stores in Florida, Kansas, New Jersey, California, and Nevada in 2013, Disney Store will once again invite D23 Members for exclusive mornings of shopping, discounts, games and goodies. SCREENINGS ON THE DISNEY STUDIO LOT: Throughout the year, D23 will continue its popular movie screenings inside the historic Studio Theatre at The Walt Disney Studios in Burbank. The 2014 roster includes Sleeping Beauty, The Jungle Book, The Adventures of Ichabod and Mr. Toad, and The Little Mermaid. D23 DAY AT THE WALT DISNEY STUDIOS AND ARCHIVES: D23’s members-only tours of the historic Studio Lot and Walt Disney Archives in Burbank return, highlighting historic moments from Disney film, television, and theme parks—as well as showcasing many of the external locations used for filming Saving Mr. Banks. Tours will take place March 22, May 31, August 2, and November 8. 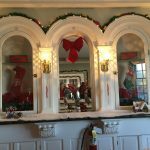 SIGNATURE EVENTS: Look for the return of some favorites, including the popular holiday offering DISNEY AND DICKENS (in Burbank in December), as well as other D23 traditions. The Dates, ticketing information, and more for D23 events will be announced throughout the year. I can’t wait!!! This is a great way to get prepared for the year of 2014 events, because tickets do tend to go extremely fast!!! 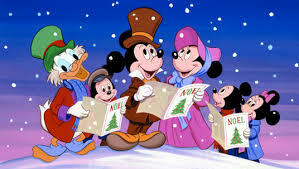 You can find full details on D23’s lineup of 2014 special events can be found on the Fan Club’s website at www.D23.com/events. All events and dates are subject to change. January 31: D23’s Lunch with a Legend — Marty Sklar, Burbank, Calif.
February 15: The Jungle Book, Burbank, Calif.
March 22: D23 Day at The Walt Disney Studios and Archives, Burbank, Calif.
April 26: Mickey’s of Glendale shopping event, Glendale, Calif.
May 31: D23 Day at The Walt Disney Studios and Archives, Burbank, Calif.
June 21: Mickey’s of Glendale shopping event, Glendale, Calif.
August 2: D23 Day at The Walt Disney Studios and Archives, Burbank, Calif.
September 13: The Adventures of Ichabod and Mr. Toad, Burbank, Calif.
October 11: Sleeping Beauty, Burbank, Calif.
November 8: D23 Day at The Walt Disney Studios and Archives, Burbank, Calif.
November 15: The Little Mermaid, Burbank, Calif.
December: Disney and Dickens, Burbank, Calif. 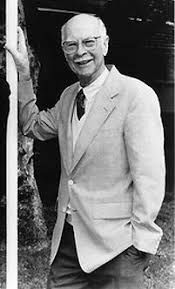 The name “D23” pays homage to the exciting journey that began in 1923 when Walt Disney opened his fledgling studio in Hollywood. D23 is the first official club for fans in Disney’s more than 90-year history. D23 gives its members a greater connection to the entire world of Disney by placing them in the middle of the magic through its quarterly publication,Disney twenty-three; a rich website at D23.com with members-only content; member-exclusive discounts and special events for D23 Members throughout the year. Fans can join D23 at Gold, Silver, and Free Membership levels at D23.com and at www.DisneyStore.com/D23. To keep up with all the latest D23 news and events, follow us @DisneyD23 on Twitter, Facebook, Pinterest, and YouTube. 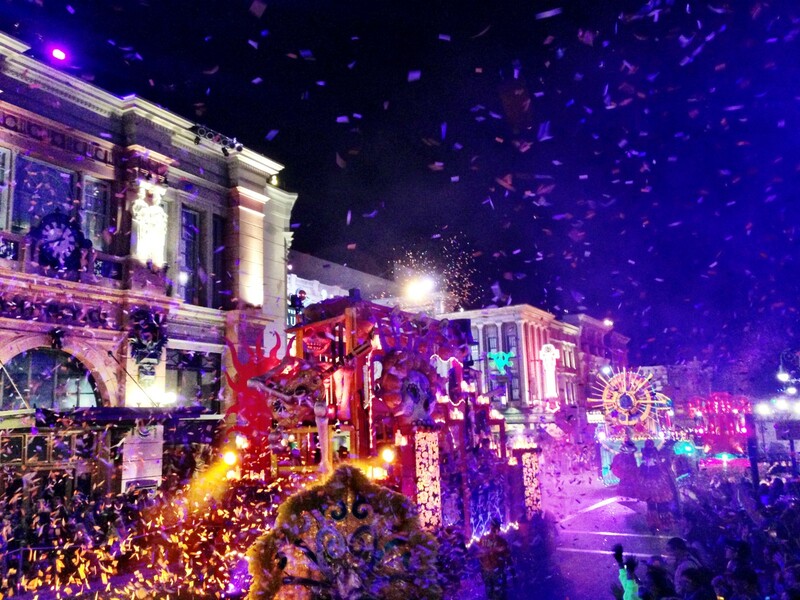 First things first, I absolutely adore Mardi Gras at the Universal Orlando Resort!!! It is by far one of my favorite things to attend in Orlando!!! 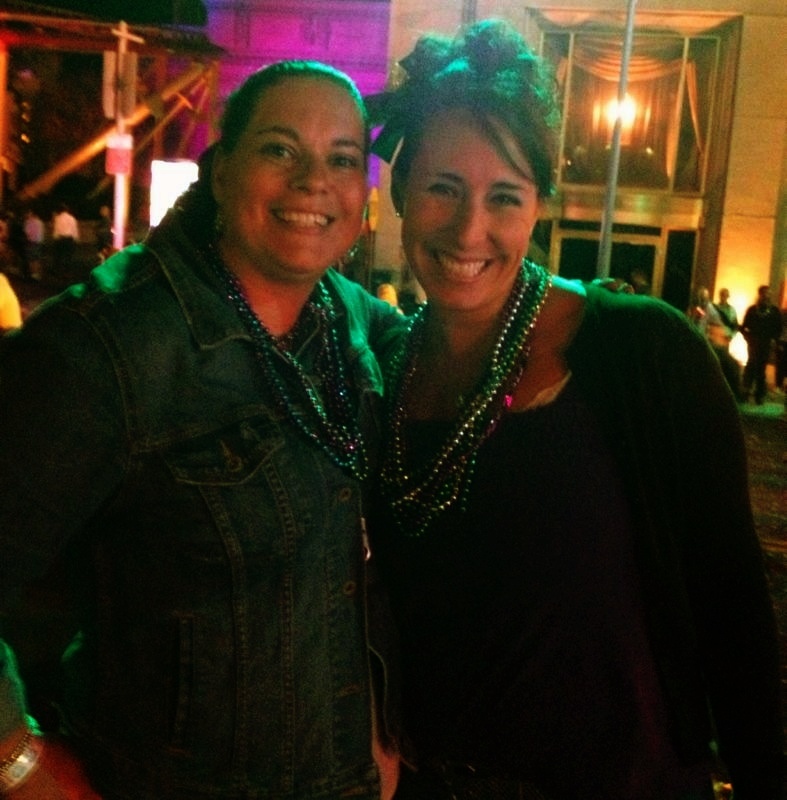 Last year, Beth and I had a blast at Mardi Gras! On select nights February 8 through May 31, the Universal Orlando Resort comes alive with a Mardi Gras celebration featuring 20 nights of AMAZING concerts from popular stars and New Orleans bands, great food that takes you to the heart of Mardi Gras in New Orleans, a parade full of fun floats and bead throwing, and a party atmosphere that is fun for the whole family! It is also one of my husband and date night! The best part??? All of these are included in your admission to Universal Studios Florida!!! 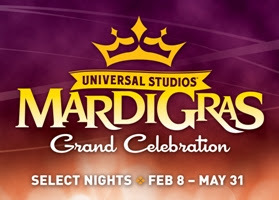 There are so many great things to experience at Universal Studios Mardi Gras, but the concerts this year are AMAZING!!!! This year’s powerhouse musical lineup features a diverse array of talent, from R&B superstar Robin Thicke, whose hit single “Blurred Lines” topped the Billboard chart for a near-record 12 weeks, to UK pop sensation The Wanted, who has sold nearly 10 million albums worldwide, to Latin idol Prince Royce, who reached number one on the U.S. Hot Latin Songs chart with “Corazón Sin Cara.” Also performing is rock band Daughtry, Grammy award-winning Hip Hop artist Nelly, and the classic rock group Foreigner, one of the best-selling bands of all time. Guests can also catch colorful beads by the handful during this year’s parade, which will feature 12 vibrant floats, including three new additions celebrating Jules Verne’s novel, “Around the World in Eighty Days.” All of the exquisitely detailed Mardi Gras floats are engineered by Blaine Kern Artists, the same company that has been hand-crafting floats for the iconic New Orleans celebration since 1947. 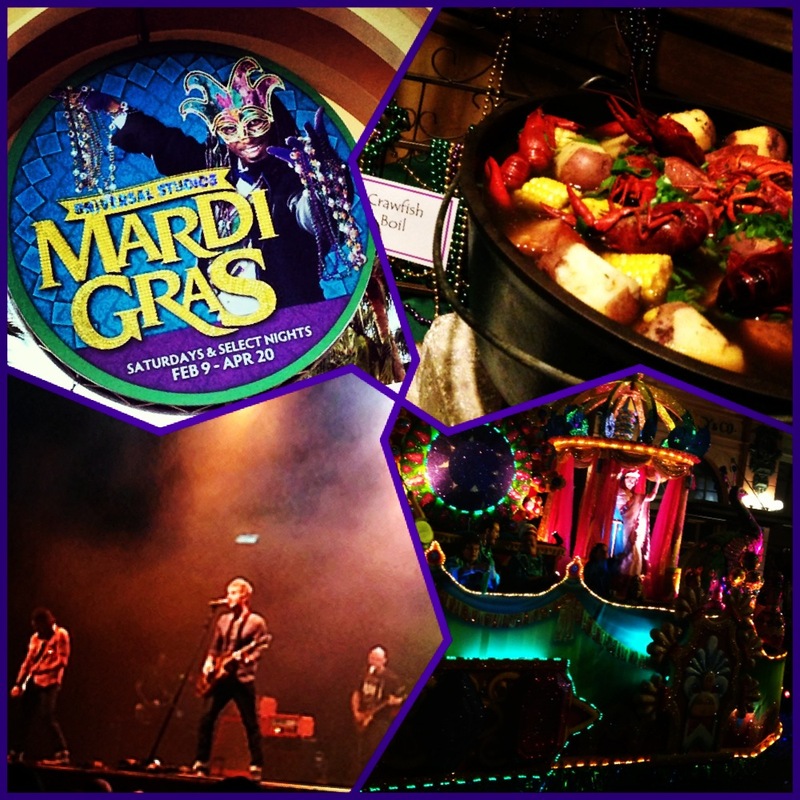 In addition to all that, at Universal Studios Mardi Gras you can visit a vibrant French Quarter Courtyard for delicious and authentic Cajun cuisine, street performers, and bands pulled straight from Bourbon Street performing. 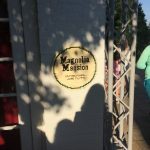 We spent a lot of time in the French Quarter area during Mardi Gras for great food and cocktails! And when you are ready, you can keep the Mardi Gras party going at Universal CityWalk at their great bars and entertainment venues!!! Florida residents have some pretty amazing special offer that they can take advantage of during Mardi Gras at the Universal Orlando Resort! 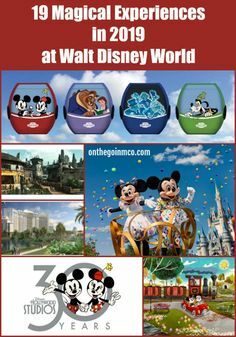 In addition to amazing deals on theme park Annual Passes, there are great deals on the three on-site hotels: Loews Portofino Bay Hotel, Hard Rock Hotel and Loews Royal Pacific Resort, and a fourth on-site hotel, Universal’s Cabana Bay Beach Resort, opening March 31, 2014. Must be purchased and activated by April 30, 2014 with a Coca-Cola UPC code or promo code on specially-marked cups at participating Wendy’s. Book by March 31 and use promotion code UNIPLAY at time of purchase to save! * Restrictions may apply. 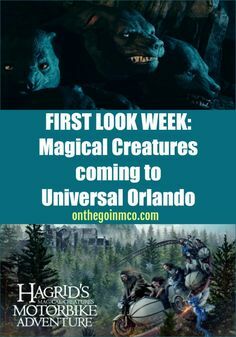 Visit http://www.universalorlando.com for additional vacation package details. I know that I will be at Mardi Gras several nights, and I hope to see you there!!! 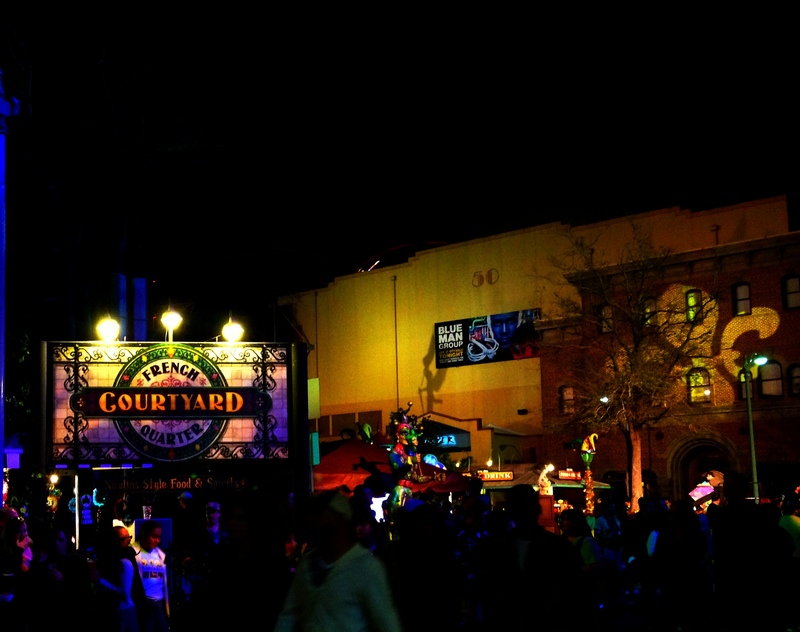 For more information about Mardi Gras at the Universal Orlando Resort, visit www.universalorlando.com/mardigras. Vacation like you mean it at Universal Orlando Resort – where every heart-pounding, jaw-dropping, goose-bumping second counts. With two incredible theme parks, Universal Studios Florida and Universal’s Islands of Adventure, three magnificently themed on-site hotels and a nighttime entertainment complex, Universal Orlando is the only place where you can turn spending time with your family into spending timeas a family. Together, you can soar above Hogwarts with Harry Potter, swing above the streets with Spider-Man, become a Minion in the hilarious and heartwarming Despicable Me Minion Mayhem ride, and join Optimus Prime in the fight to save mankind on the new mega-attraction, TRANSFORMERS: The Ride – 3D. Universal Orlando Resort is part of NBCUniversal, a Comcast company. Follow Universal Orlando Resort on Facebook, Twitter, Instagramand YouTube. In celebration of the 15th anniversary of the International Space Station (ISS), Kennedy Space Center Visitor Complex is hosting crew members of the first space shuttle mission to construct the ISS on Tuesday, Dec. 10. STS-88 crewmembers attending include Kennedy Space Center Director and mission commander Robert Cabana and mission specialists Jerry Ross and Nancy Currie. On Dec. 10, 1998, the six-member crew aboard Space Shuttle Endeavour became the first people to enter the newly created International Space Station after transporting the American connecting node, Unity, and connecting it with the Russian module, Zarya. The anniversary celebration at the Visitor Complex includes photo opportunities for the public with the astronauts at Space Shuttle Atlantis from 10 to 11 a.m. A panel discussion and Q & A with the astronaut crew takes place at 12:30 p.m. at the Astronaut Encounter Theater. Seating is provided on a first come, first serve basis. In addition, “Space Station 3D,” narrated by Tom Cruise, showcases the very beginning of the International Space Station in the IMAX® Theater. At 11:30 a.m. limited seating is offered for a special Lunch With An Astronaut for an additional charge, plus general admission with a special guest appearance by astronauts Jerry Ross and Nancy Currie, in addition to featured astronaut Jack Lousma, pilot of Skylab-3 and commander of STS-3. The STS-88 crew traveled a total of 4.7 million miles during a 12-day mission to transport the 12.8 ton Unity connecting module and begin assembly of the ISS. Beyond connecting the two modules, the crew’s mission included powering on the station and installing hardware. Commander Bob Cabana and Russian Cosmonaut Sergei Krikalev were the first to enter Unity and open the hatch into Zarya, officially marking the dawn of a new era in global space partnership. 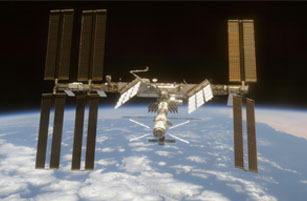 Considered one of the greatest technological, geopolitical and engineering achievements in history, the International Space Station is a collaborative effort between 15 nations. More than 69 countries have participated in research and educational activities on the orbiting laboratory that advances fundamental scientific knowledge, supports the exploration of space beyond low Earth orbit and provides a multitude of benefits to humans on Earth. Photo opportunities and the panel discussion are included in admission to Kennedy Space Center Visitor Complex, which is $50 + tax for adults and $40 + tax for children ages 3 – 11. Lunch With An Astronaut is an additional $29.99 + tax for adults and $15.99 + tax for children ages 3 – 11. Kennedy Space Center Visitor Complex brings to life the epic story of the U.S. space program, offering a full day or more of fun and educational activities, including the Kennedy Space Center Tour featuring the Saturn V Center with an actual Saturn V moon rocket, the new Angry Birds™ Space Encounter, Shuttle Launch Experience, 3D IMAX® space films, Astronaut Encounter, Exploration Space: Explorers Wanted and many other interactive exhibits. The new $100 million home for Space Shuttle AtlantisSM opened June 29, 2013. Admission also includes the U.S. Astronaut Hall of Fame®, featuring historic spacecraft and the world’s largest collection of personal astronaut memorabilia, which opens daily at noonand closing times vary by season. Only 45 minutes from Orlando, Fla., Kennedy Space Center Visitor Complex opens daily at 9 a.m. with closing times varying by season. Admission is $50 + tax for adults and $40 + tax for children ages 3-11. The Kennedy Space Center Visitor Complex offers annual passes starting at $75 + tax for adults and $60 + tax for children ages 3-11. For more information, call 877-313-2610 or visit www.KennedySpaceCenter.com. 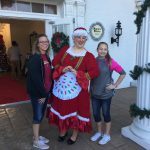 Guests visiting Hilton Orlando Bonnet Creek over the holidays can spend time with the family without the fuss associated with being home for the holidays! The resort has an entire schedule of special activities and festive meals, punctuated by glittering décor and the tinge of tinsel. Holiday rates start at $109 per night through December 24, 2013. 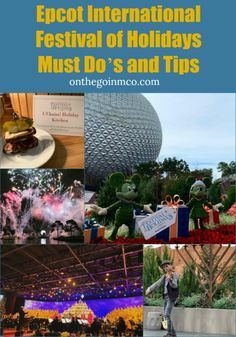 In Orlando, there are memorable experiences for families around every corner, including holiday decoration in most of the theme parks, and Mickey’s Very Merry Christmas Party at Magic Kingdom®. If shopping is on your agenda, the resort is only a few miles from Mall at Millennia, featuring Orlando’s largest collection of upscale shops and department stores. A Holiday Family Experience with Santa (December 6 & 7, 13 & 14, 22-24, 5:30 to 8:30 p.m.) – Set against a one-of-a-kind backdrop, families can capture a holiday moment with the “Big Guy” surrounded by snow in his sleigh filled with toys and a progressive gingerbread wall. Guests will have the opportunity to help Santa and his elves decorate gingerbread bricks to help build the wall. 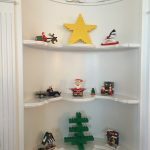 Donation of $5 per gingerbread brick will benefit Give Kids the World. A Warm Holiday Welcome with Hot Cocoa (December 6-25, Fridays and Saturdays, 6 to 9 p.m.) – After check-in, a warm treat is a great way to welcome guests to their home away from home during the holidays. Seasonal Cocktails (Daily)—’Tis the season for some adult fun with holiday cocktails at the resort’s many lounges and bars. A New You For the Holidays (Daily) – The Waldorf Astoria® Spa is the perfect place to celebrate the holidays. Guests looking for a special hairstyle before a big night out, a manicure with some added sparkle, or just a moment of Zen to reflect on auld acquaintances will find the resorts spa a haven for pampering. Sweet Treats at MUSE (Daily, available 24 hours) – MUSE lobby sweet shop is the perfect and most delicious way to curb a holiday sweet tooth with, fresh-baked seasonal pastries, creamy ice cream and delightful treats. Lobby Delights (Daily, December 26-January 1, 6 to 7p.m.) – After check-in, guests can enjoy a sampling of holiday spirits for both adults and kids. Bar “Bubble Lounge” (Tuesday, December 31, 5 p.m. to close) – For New Year’s Eve, Zeta Bar & Sushi Lounge will be transformed into the “Bubble Lounge,” featuring a DJ until 1 a.m., a selection of champagnes and a live screening of the ball drop on 10 large-screen televisions. No charge; no reservations required. 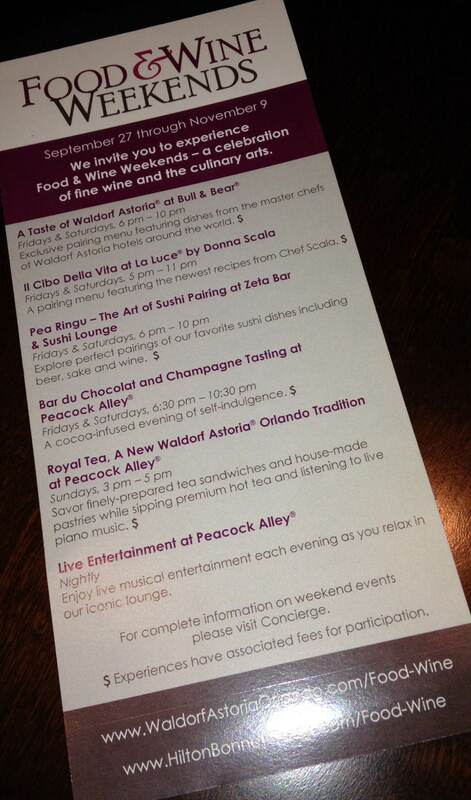 Christmas events are available to all guests of Hilton Orlando Bonnet Creek and Waldorf Astoria Orlando. 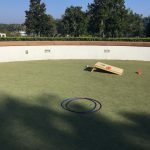 Fees may apply to select activities. Event schedule subject to change without notice. Holiday rates start at $109 per night through December 24, 2013. 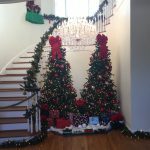 For reservations, call 407-597-3600, or visitwww.hiltonbonnetcreek.com/holiday. For those wanting to give a special and flexible holiday gift, the hotel offers Hilton Orlando Bonnet Creek Gift Cards. Visit www.hiltonbonnetcreek.com/giftcard. 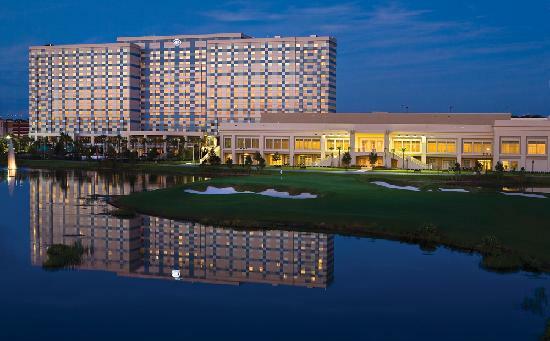 Hilton Orlando Bonnet Creek offers the best of both worlds: a convenient “insider” location surrounded by Walt Disney World® Resort and the peaceful serenity of the surrounding 482-acre nature preserve. Resort amenities include elegantly appointed rooms and suites with family-friendly amenities, a three-acre lazy-river pool, a Rees Jones-designed championship golf course, a luxe spa, full fitness center, and nearly a dozen dining and lounge options, including the award-winning La Luce by Donna Scala. Founded in 1919 as the flagship brand of Hilton Worldwide, Hilton Hotels & Resorts continues to build upon its legacy of innovation by developing products and services to meet the needs of savvy global travelers at more than 550 hotels across six continents. Hilton is the stylish, forward-thinking global leader in hospitality with Team Members shaping experiences in which every guest feels cared for, valued and respected. Access the latest news at news.hilton.com and begin your journey atwww.hilton.com or www.hilton.com/offers for the latest hotel specials. View a list of official social channels at www.hilton.com/social. Hilton Hotels & Resorts is one of Hilton Worldwide’s ten market leading brands. 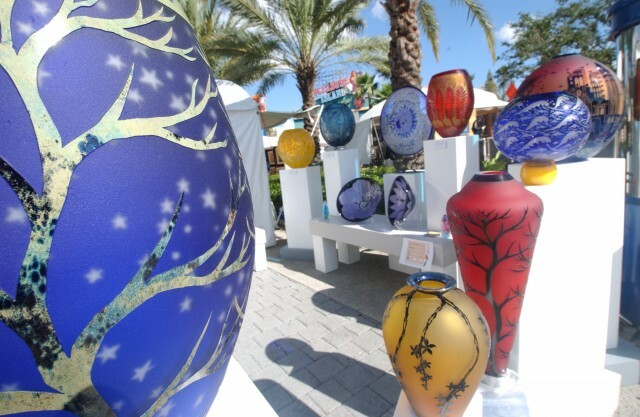 For its 38 year, Festival of the Masters presented by Michaels is transforming Downtown Disney into an art lovers’ paradise Nov. 8-10, 2013. 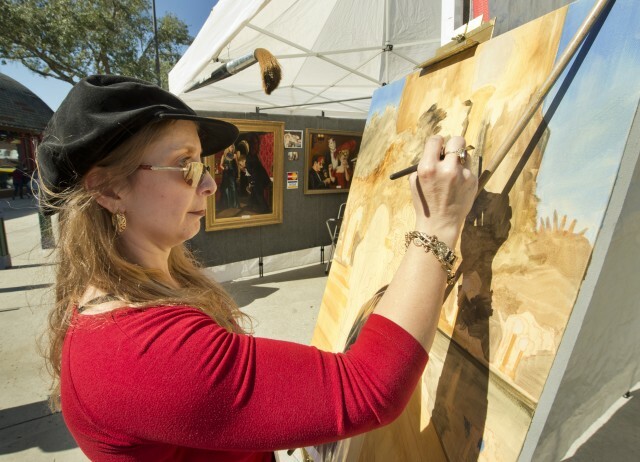 The prestigious open-air fine arts festival features more than 300 artists creating and showcasing their unique works in painting, photography, sculpture, chalk, glass and more. Exhibits feature more than 130 award-winning artists, nearly 20 up-and-coming Emerging Masters, the Disney Artist Village, live performance artists and more. From Friday to Sunday, prepare yourself for a refined experience as hundreds of artists hone their talents and focus their abilities before an audience of onlookers, connoisseurs and appraisers alike. Staged around the Downtown Disney area—with displays at Downtown Disney West Side and Downtown Disney Marketplace—let your curiosity lead the way to a series of exhibits, activities, presentations and more. This is your chance to interact with dozens of eclectic creators while each showcases his or her own unparalleled sense of individuality, from unique perspectives and personalities to distinctive styles and signatures. It’s set to be one truly unforgettable event, an art show 38 years in the making! 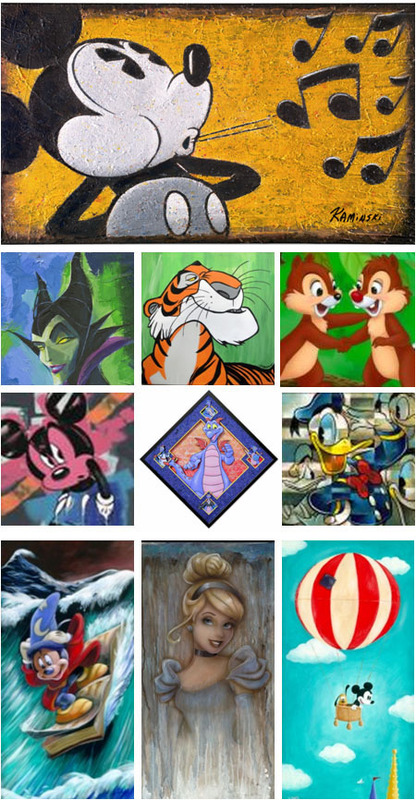 Downtown Disney West Side – Find over 130 award-winning fine artists—including 20 several talented “Emerging Masters”—in addition to limited-edition paintings, sculptures, jewelry, glasswork, woodwork and more. 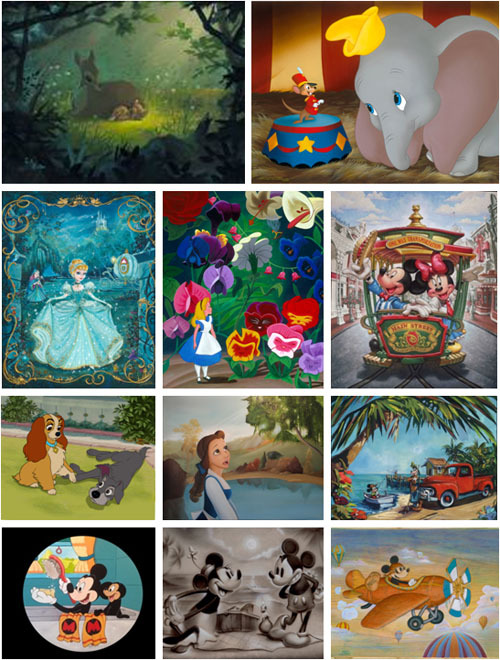 Disney Artist Village – Enjoy one of the largest displays of Disney pieces available for purchase as you meet more than 25 talented people who created each of the works. The Waterside Stage – Gaze in amazement during a drove of live shows where Disney artists bring remarkable pieces to life, right before your very eyes. House of Blues – Celebrate 15 years of folk alongside more than 30 accomplished artists as the House of Blues stages a longtime favorite event—the Folk Art Festival! Downtown Disney Sidewalks – Stroll sidewalks adorned by 60 works of chalk such as the always popular children’s chart art exhibition. For more information on participating artists, visit the Artist Gallery! You will have the opportunity to meet Walt Disney Imagineers, Disney Design Group artists and Disney-inspired artists, among others at the Festival of the Masters! 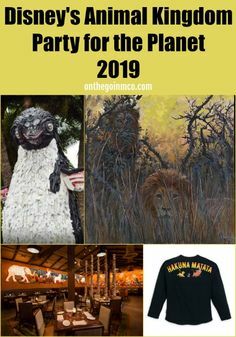 The following artists will be on hand for special appearances and signings: ACME Archives, Costa Alavezos, Dave Avanzino, Steve Barton, Brian Blackmore, Trevor Carlton, Maria Clapsis, Ron Cohee, John Coulter, Disney Fine Art, David Doss, Larry Dotson, Stephen Fishwick, Will Gay, Joe Kaminski, Rob Kaz, Katie, Kelly, Alex Maher, Greg McCullough, Noah, Arnel Platon, Tim Rogerson, Thomas Scott, Mark Seppala, Bil Shannon, Michelle St.Laurent, Guy Vasilovich, Don “Ducky” Williams and Darren Wilson. For a full schedule of Artist Appearances and Signings, please visit here. But please keep in mind that all events, appearances, and other elements are subject to change so keep an eye out for notifications! Disney Artists Trevor Carlton and Stephen Fishwick also will be performing live shows as they create new works of art on stage and will host interactive chats about art and what it can be. Both the art chats and live performances will take place at Waterside Stage in the Marketplace, and times will be available in the times guide. New this year, “Mixers and Masters” will highlight artistic cocktails throughout Downtown Disney. Select dining locations will feature specialty drinks for sipping and strolling including the Pinkberry Martini from Wolfgang Puck Café, Blue Nile from Rainforest Café and Huckleberry Lemonade at Splitsville. Guests can learn what goes into making an artfully delicious cocktail during daily presentations on Waterside Stage. “The Art of Mixology” will feature 10-minute demonstrations with experts three times a day. 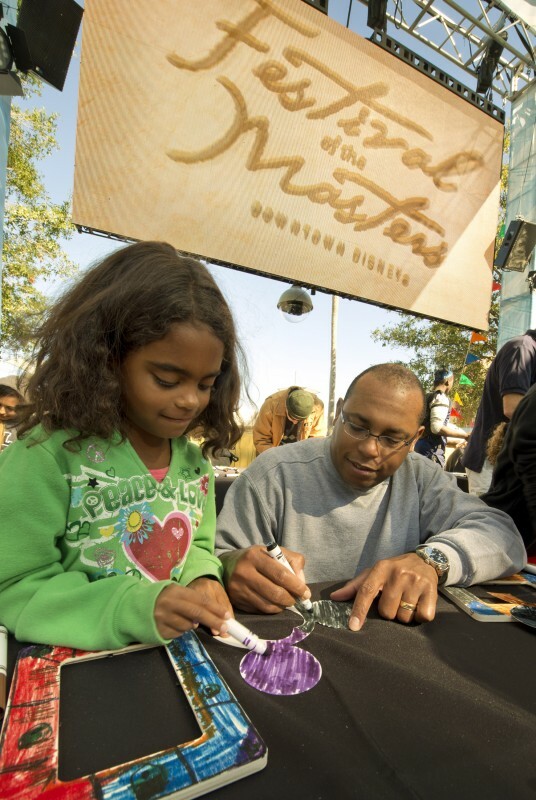 This year you can become part of the Festival of the masters with the various interactive crafting experiences that you will find throughout Downtown Disney! 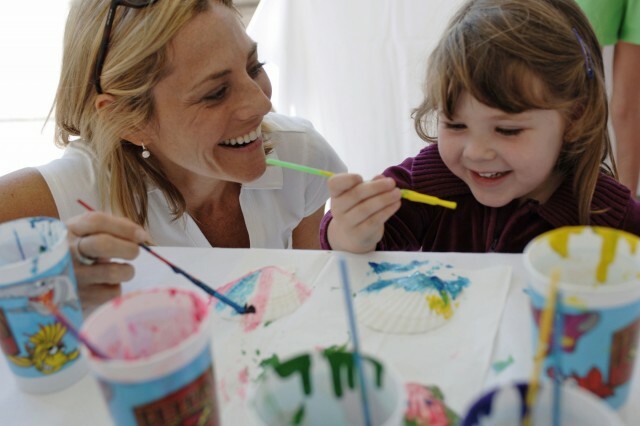 The Michaels Design Team will be on hand for a variety of fun experiences where you can participate, create and even take home your own self-made souvenir! Make It Take It: Mickey Ears – Design a set of Mickey Ear wood frames—complete with a fun assortment of extras—inspired by everyone’s favorite mouse. Make It Take it: Sun Visor – Fashion your very own piece of artistic headwear, one that expresses your creative side while also shielding your eyes. Draw a Disney Masterpiece – Take your pick from an array of coloring tools and make magic as you create personalized art based on Disney’s latest film. Michaels Master Mural – Partner up with the crew from Michaels as you work in tandem and put together a larger-than-life master mural, piece by piece! 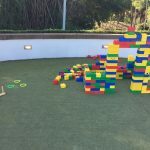 Children are invited to creatively chalk sections of the Marketplace for the Children’s Chalk Art display; help build a giant LEGO masterpiece and create an interactive LEGO mural. The event takes place from 10 a.m. – 5:30 p.m. Friday and Saturday; 10 a.m. – 5 p.m. Sunday. Admission and self-parking are complimentary at Downtown Disney; valet parking is available during the event from 12 p.m. – 2 a.m. via Entrance 4 at Downtown Disney West Side. We’ll be there and we can’t wait to share tons of pictures so make sure you follow us on Twitter and Facebook to keep up with all the fun! 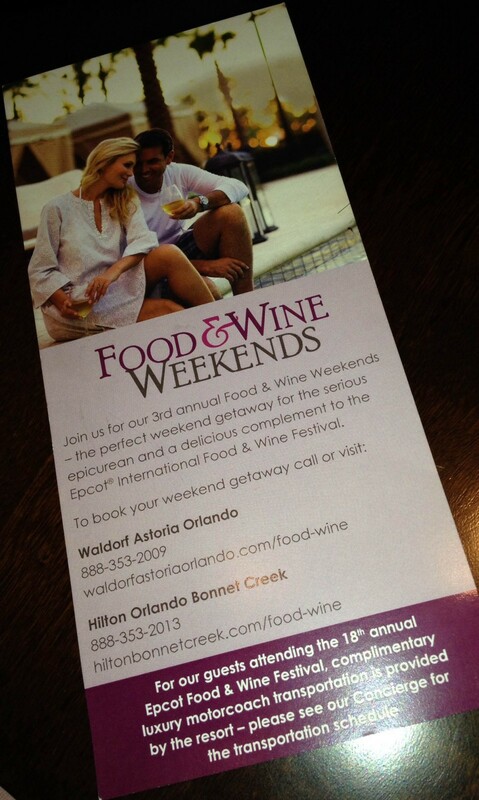 Running in concurrence with the Epcot International Food and Wine Festival, the Hilton Bonnet Creek Resort and Waldorf Astoria Orlando, located within the gates of the Walt Disney World Resort, is offering Food & Wine Weekends, now through November 9. This special event takes place Fridays through Sundays and offers a taste of the fabulous restaurants and bars inside the Hilton and Waldorf Astoria. Highlights include samplings and exclusive pairing menus from Bull & Bear, La Luce, Zeta Bar & Sushi Lounge and Peacock Alley. 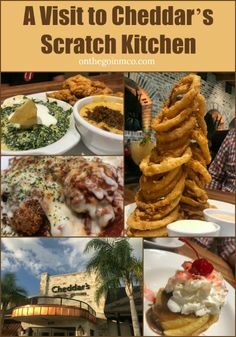 I recently had the opportunity to experience the event first hand and found it to be a great way to dine at some of the restaurants that I had not tried before. I began with visiting the lobby kiosk for a Taste of Japan. I sampled three variations of sake, Gekkeikan Zipang Sparkling Sake, Takara Plum Wine and Momokawa Silver. They were all unique in taste and all very good. 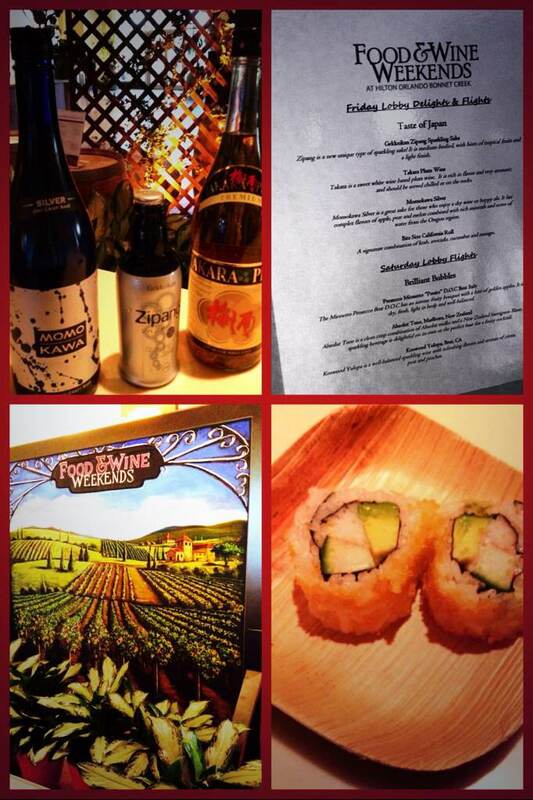 Paired with the sake was a sampling of a California roll from Zeta Bar & Sushi Lounge. It was fresh, tasty, and perfectly chilled. I’m very particular about the temperature of my sushi and this was perfect. 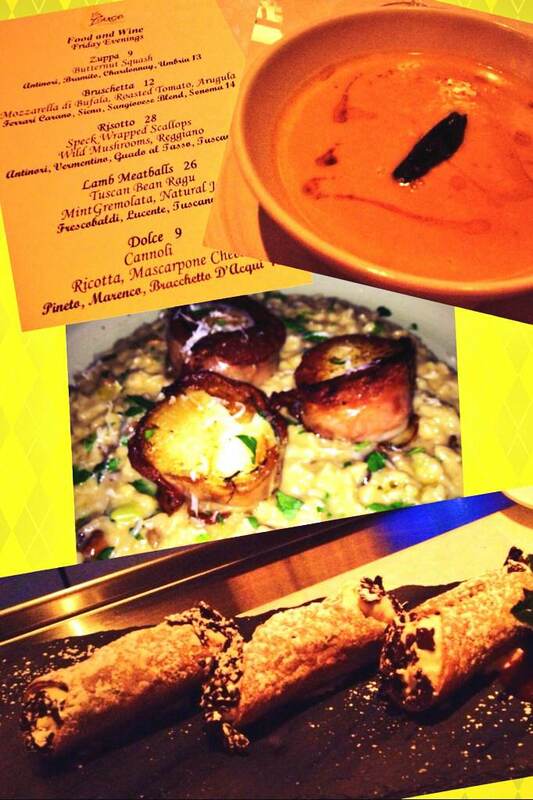 Next, I headed into La Luce by Donna Scala to try out the special chef created menu specifically for that night. The menu changes each Friday and Saturday so there’s always something new to try. I started with the Butternut Squash soup which was garnished with a seared Basil leaf. Next up was bruschetta with mozzarella, roasted tomato, and arugula. It was delicious and filling. I still had a little room left so I chose the risotto made with speck, a meat similar to prosciutto, wrapped scallops with wild mushrooms and reggiano. The final course was a divine cannoli made with ricotta and mascarpone cheese, filled with chunks of chocolate and sprinkled with powdered sugar. Each course had a recommended wine paired with it, though I chose to slowly sip a glass of Robert Oatley Shiraz throughout my dining experience. On October 25th and 26th, Celebration Town Center transforms before your very eyes as the falling leaves of the season drop on Market Street in the Fall Festival known as Oktoberfest. Listen for the rustling of leaves, relax by the lakeside and rock your troubles away, and enjoy the live music with family and friends in this one-of-a-kind themed extravaganza. On Friday October 25th Oktoberfest will be celebrated in the old-world German tradition featuring the sounds of Dan Witucki & Heimatland Musikanten. Come join in on the interactive live show featuring everything from yodeling to crowd sing-a-long fun. Then, come back on October 26th as Celebration Town Center will celebrate “Rocktoberfest”. Featuring the sounds of The Micah Read Band and Lucy Iris, Celebration Town Center is the place to be to usher in Fall. It’s the coolest family-friendly Oktoberfest in the Southeast, so don’t miss it. Hop on a hayride, dance to terrific live music, paint a pumpkin, or just stroll and enjoy the crisp fall air and enjoy the great savings at the lakeside promenade. Leaves fall daily at 7:00, 8:00, and 9:00 PM. 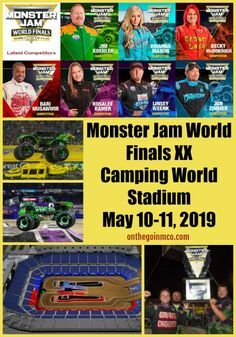 Parking and Admission are FREE!!! Come early, Stay Late, and have fun at Celebration’s 7th Annual Oktoberfest!!!! 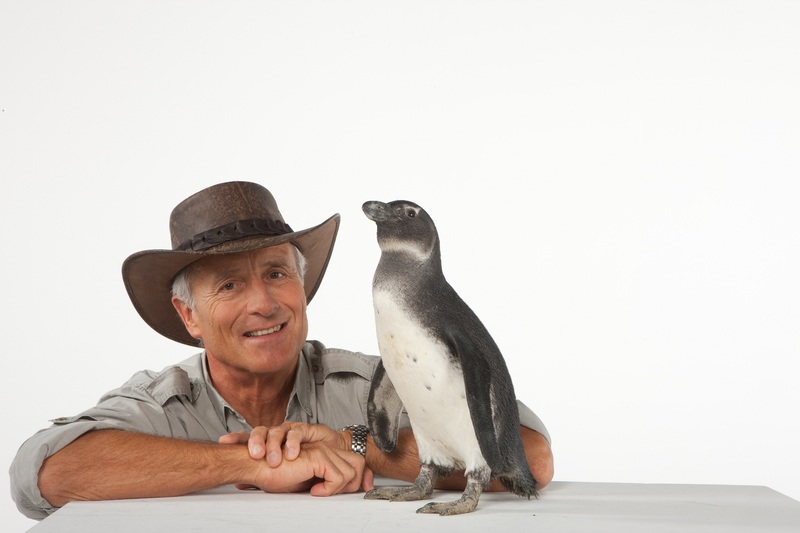 Celebrity wildlife expert Jack Hanna returns to SeaWorld Orlando on September 14-15 for Jack Hanna Weekend, accompanied by many of the world’s most amazing animal ambassadors. Included with park admission, this special limited-time series takes place at Nautilus Theater on Saturday, September 14, and Sunday, September 15. Shows will be at 1:15 p.m. and 3:15 p.m., and seating is on a first-come, first-served basis. Recognized around the world for his boundless enthusiasm for animals and conservation, “Jungle Jack” helps us share in his wondrous connection to wildlife and the world we share. 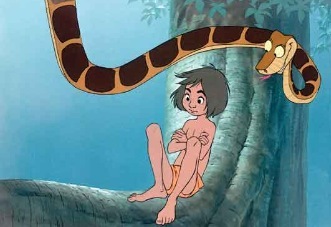 Hanna’s past “co-stars” have included clouded leopards, chatty kookaburras, penguins and majestic eagles. NEW: Dinner with Jack Hanna – September 14 & 15, 5:00 p.m. Guests can enjoy a delicious buffet dinner at Dine with Shamu®, where they will mingle with Jack Hanna and meet his animal friends up-close. This VIP dinner offers a delicious menu, while “Jungle Jack” entertains guests with animal facts, tales of his adventures and answers questions from attendees. Additionally, guests will receive one complimentary family photo with Jack, one complimentary adult beverage (for guests 21 and over) and special reserved seats at the 3:15 p.m. show. 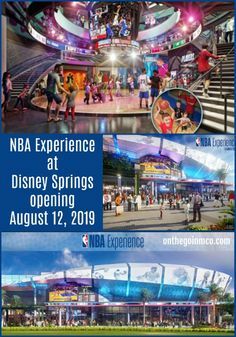 Cost is $59 for adults, $49 for children ages 3-9. Children under 3 are free but require a reservation. Pass Members receive 10% discount. Breakfast with Jack Hanna at Sharks Underwater Grill® – September 14 & 15, 9:00 a.m.
Meet Jack Hanna and his animal friends up-close during a special breakfast at Sharks Underwater Grill®. 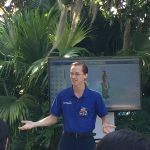 This VIP experience features a hearty breakfast, while “Jungle Jack” teaches guests about some of his animal friends, speaks about his animal encounters and answers questions from those in attendance. Guests will receive one complimentary family photo with Jack and special reserved seats at the 1:15 p.m. show. Cost is $49 for adults, $39 for children ages 3-9. Children under 3 are free but require a reservation. Pass Members receive 10% discount. 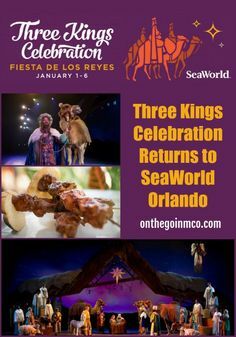 To learn more about Jack Hanna Weekend and all of SeaWorld Orlando’s events, visit SeaWorldOrlando.com and follow us on Facebook. 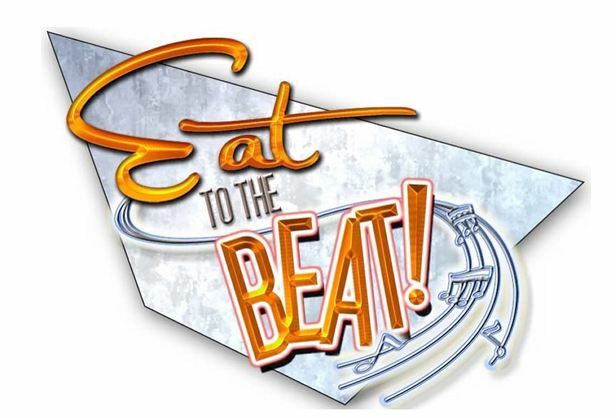 With this year’s Epcot International Food & Wine Festival right around the corner, September 27 – November 11, it’s time to look at the line up for the Eat to the Beat Concert Series! I am really excited about the new acts that will be joining this year’s lineup! The new bands include the Go-Go’s, Edwin McCain, The Manhattan Transfer, Wilson Phillips, Spin Doctors and Christopher Cross. And I am even more happy to see that so many of my favorites like Big Bad Voodoo Daddy, Sugar Ray, and Boyz II Men are returning!!! The Eat to the Beat Concert Series is free with admission to Epcot, and takes place in the American Gardens Theater in World Showcase nightly at 5:30 pm, 6:45 pm, and 8:00 pm. The concerts are about 30 minutes long, but you will want to be prepared to line up extra early if it is one of your favorite bands!! !